1. 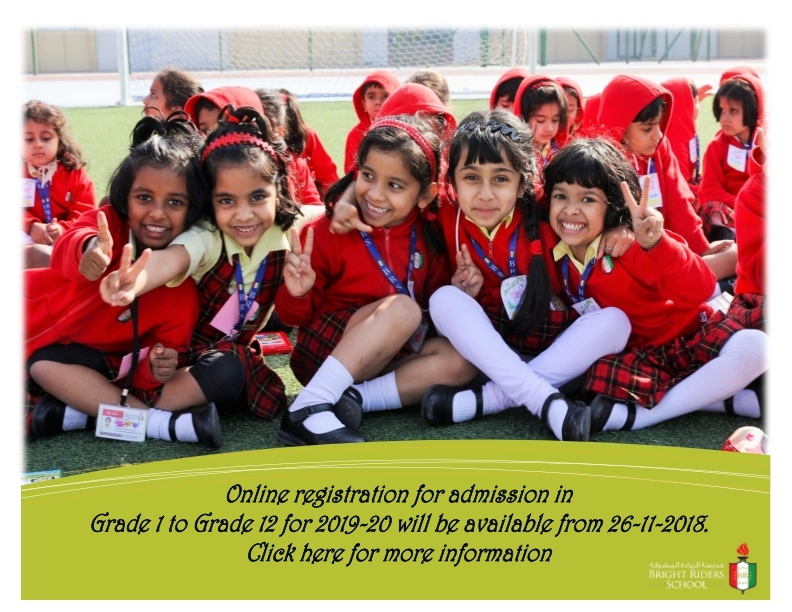 Upon availability of seats, online registration will open on the school website. 2. Portions for the same will be provided. 3. An admission test will be conducted in the school. 4. Admission will be based on the performance of the student in the admission test. 5. On clearance of Admission test, a mail will be sent to the parent for further formalities. • A copy of valid passport with valid residence visa. • Original & the photocopy of the emirates id. • A copy of the mark list of the previous school. • If migrating from India, the transfer certificate must be attested by the Ministry of Education in India / District Education Officer / CBSE regional office of the zone or district from where the TC has been obtained and Indian Embassy & Foreign Affairs in UAE. • For admissions from any other Emirate besides Abu Dhabi, the Transfer Certificate must be attested by the Ministry of Education over and above the attestation from the respective school. • If moving from GCC countries, the transfer certificate must be attested by the Ministry of Education of that country over and above the attestation from the respective school. • Internal transfers within Abu Dhabi will be done online. • Recent water and electricity bill/tenancy contract. It is mandatory to submit all the above mentioned hard copies during the admissions. Unable to submit anyone document will put the admissions on hold. Note: English, Arabic, Work Experience, General Knowledge / Islamic studies , regular P.E./games and library will be compulsory subjects.